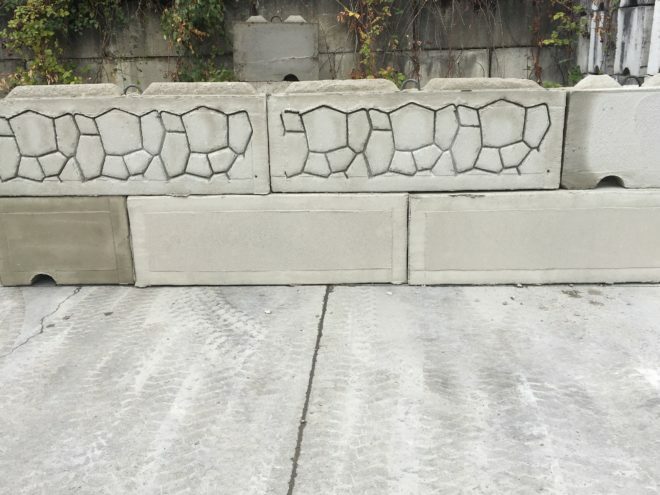 Product Category: Ecology Blocks | Salmon Bay Sand & Gravel Co.
*Please note; That Salmon Bay produces the Ecology Blocks and will offer delivery but we can not offer placement or build any structural wall, building or otherwise. You need to work with a licensed contractor for any structural placement of the blocks. 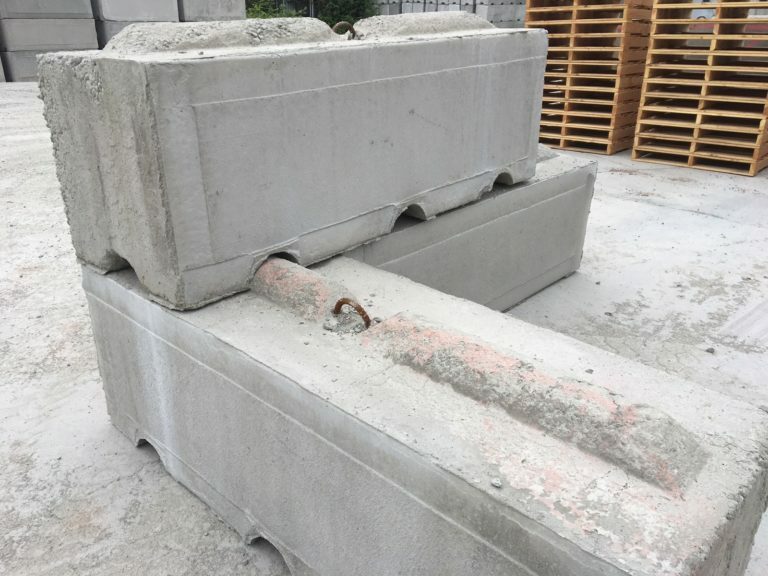 The blocks are cast into either a half block or a full block concrete form. 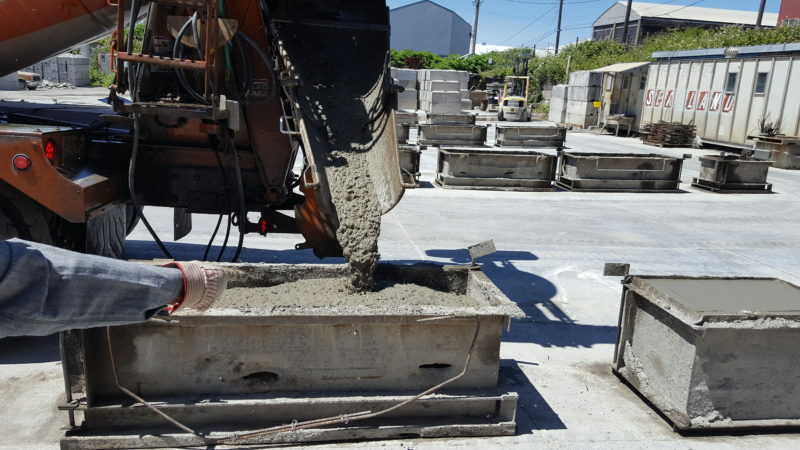 A half block uses approximately a half yard and (you guessed it) a Full block uses approximately a full yard of concrete. Each block is cast with a 3” radius tongue and groove, for interlocking stability, in stacking applications. There is a picking eye of #5 rebar located in the spacing between the tongues in the top of each block. This is for loading/unloading and for placing the blocks with a crane or backhoe capable of lifting and moving up to 4000 lbs. Cross Block Section- We are often asked, "How do they fit together?" We make the blocks in several standard finishes: framed, plain and cobble. 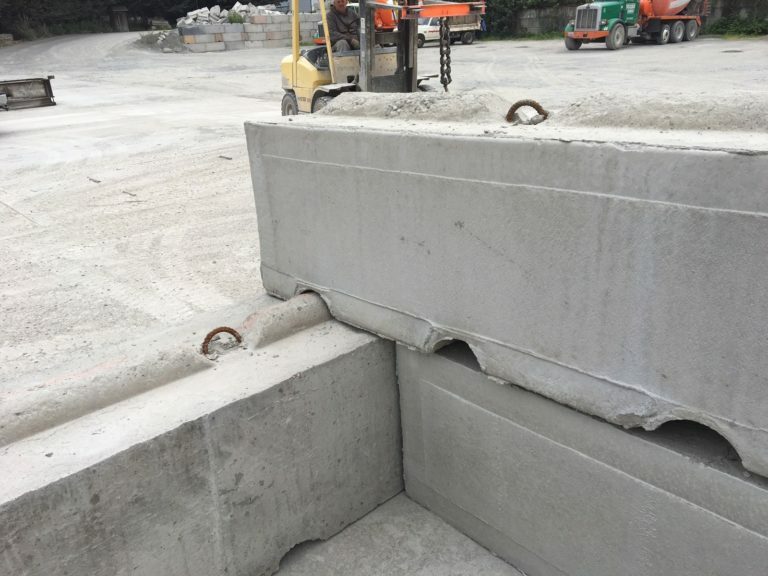 The color and appearance of the Ecology blocks is inconsistent, due to the nature and mix of concrete that is being returned from jobsites.